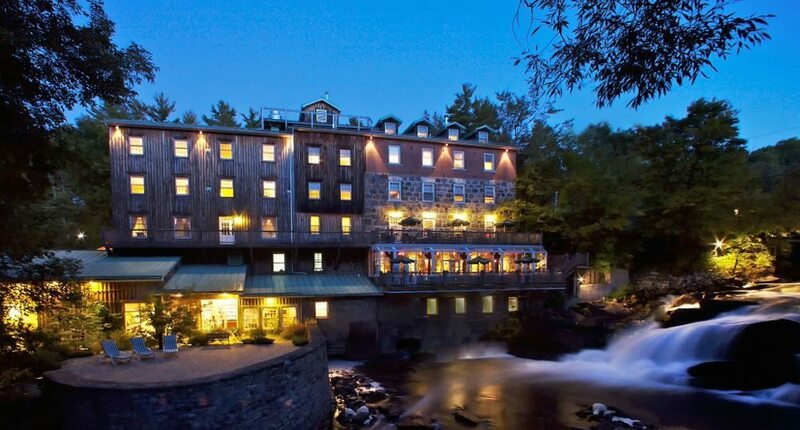 Scoring a table at the Muse Restaurant in the Wakefield Mill Inn this summer had proven tricky. 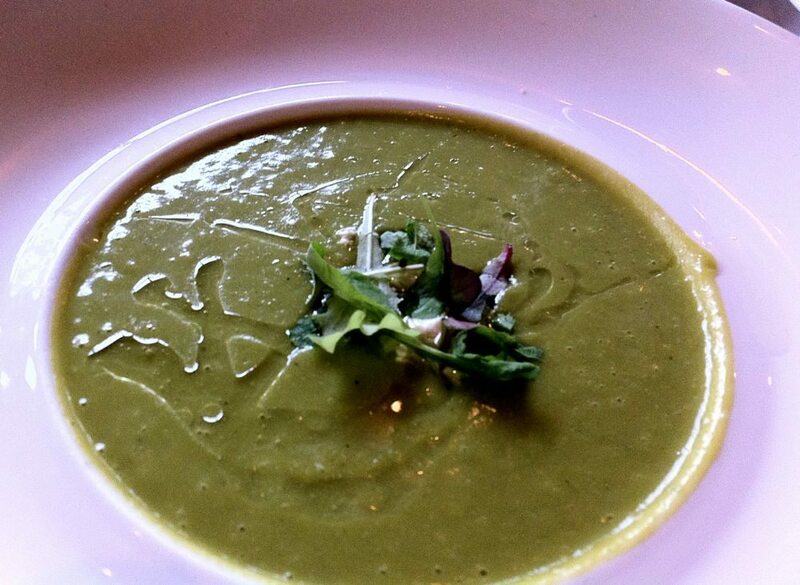 And sure enough, when one was found (“we could seat you at 6 or 8:45”) we arrived to a packed room, both on the more sought-after solarium side of the restaurant – the bit that juts out over the MacLaren Falls – and in the dining room proper. Every table was filled, staff was scrambling. A salad of “jeunes pousses” proved to be a highlight. The greens seemed more days old than weeks, and yet had such grand flavour, caught in a ribbon of cucumber, scattered with crunchy wisps of shallot and dressed smartly in a classic honey-mustard vinaigrette sweet with raisins. 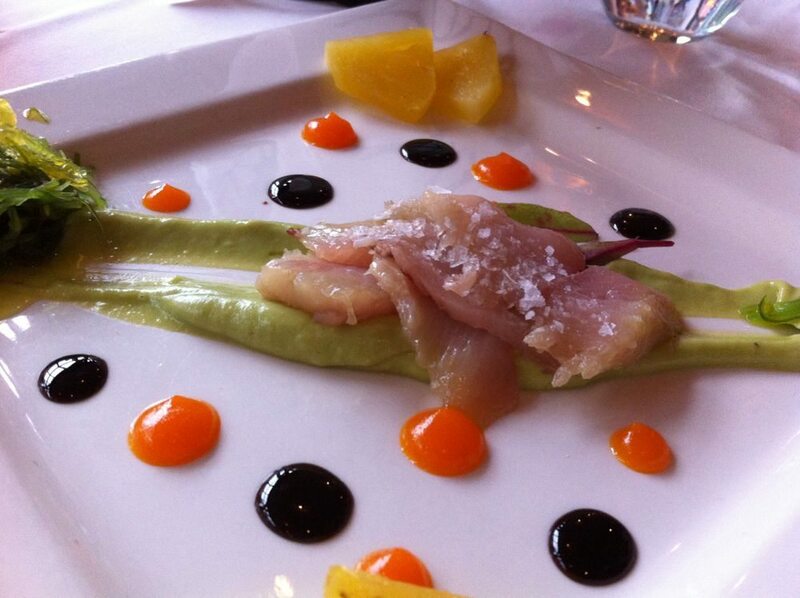 The “ Chef’s choice of sashimi” was King Mackerel – a bold choice, though its oily fishy flavour was cleverly tempered with creamy elements (an avocado mousse) with a rousing wakame salad and with dobs of a sweet carrot purée. A wedge of marinated pineapple delivered just the right edge of sweetness to the sashimi, and to a (sadly overcooked) loin of piglet (served with a ragout of carrots, beans and under trimmed kale). 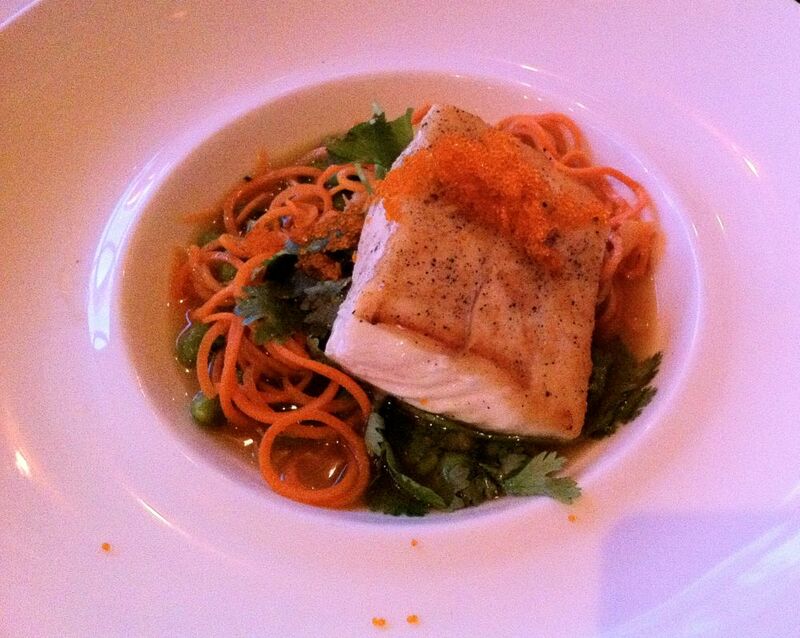 But it began to lose its charm by the time it showed up again on a plate of halibut. Which turned out to be a delightful summer dish. Perfectly cooked, the fish was set in a shiitake dashi broth, crowned with flying fish roe and flavoured further with smoked boy choy, lime leaf and cilantro. Raw carrot curls and pebbles of edamame finished the bowl. With the exception of a teaspoon of what tasted like icing sugar mixed with green food colouring (billed as a ‘peppermint infusion’) a chocolate dessert was lovely – a scoop of rich chocolate mousse on a dense chocolate pate, topped with a delicate chocolate tuile and set in a raspberry coulis. Two odd bits: an icky-sweet alcoholic “palate cleanser” delivered between courses, of gin, apple juice and Neige iced cider, seemed misguided. As did seeing asparagus on a Chartrand menu in mid August. But overall, The Mill seems to me a much more interesting place to eat.